This is a new printing of the original edition on sturdy acid-free paper. Subtitled “Concert Variations for the Organ,” this music is more dramatic and less sentimental than Flagler’s. 12 pages. Highest quality guaranteed. Size of music is 10.5" x 13.5". $10.00. Charles Wenham Smith (1851–1920) was born on Christmas Day in London, England. As a boy choirster at St George’s Chapel at Windsor Castle for five years, he sang and studied music with Sir George Elvey and later with Edward J Hopkins of the Temple Church and Charles Steggall. He emigrated to America where he held several organist positions including St Patrick’s Cathedral in Newark, New Jersey, St James Catholic Church in New York City, and the famous Plymouth Church in Brooklyn (1888-1890), when this piece was published. 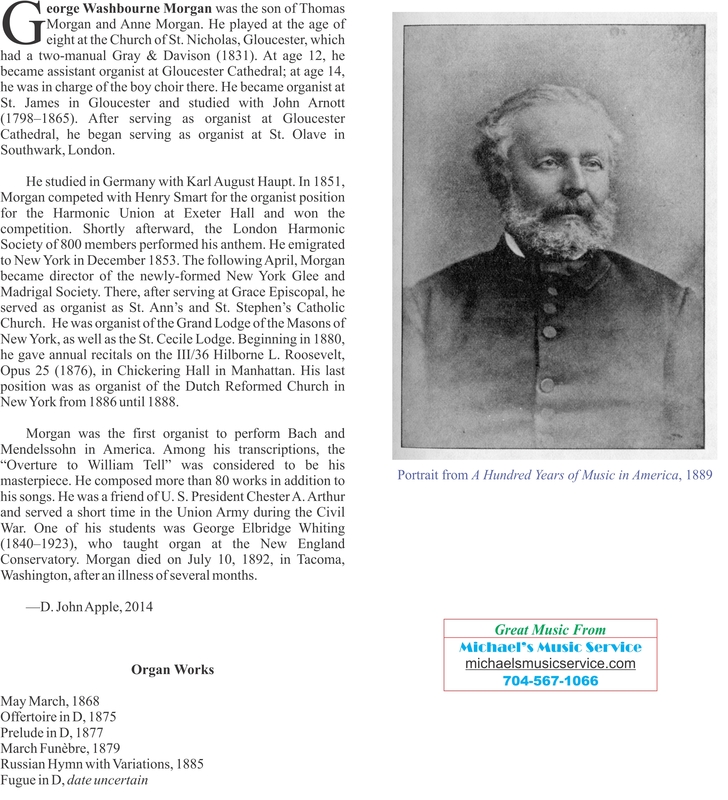 He was a founder of the American Guild of Organists. This piece was dedicated to the popular New York City organist, George Morgan, who had had several of his own pieces published. Old Folks at Home was composed by Stephen Collins Foster (1826–1864) after he returned to Pittsburgh and had signed a contract with Christy’s Minstrels. It was published in October 1851 by Firth, Pond & Co, a New York City publisher with whom Foster began his professional career in December 1849. The original publication is titled “Old Folks at Home. Ethiopian Melody as sung by Christy’s Minstrels. Written and composed by E[dwin] P Christy.” The attribution of authorship did not change until the copyright of the song was renewed in 1879 by Oliver Ditson. This song, one of Foster’s most popular, garnered the largest income for Foster and for his wife and daughter after his death. 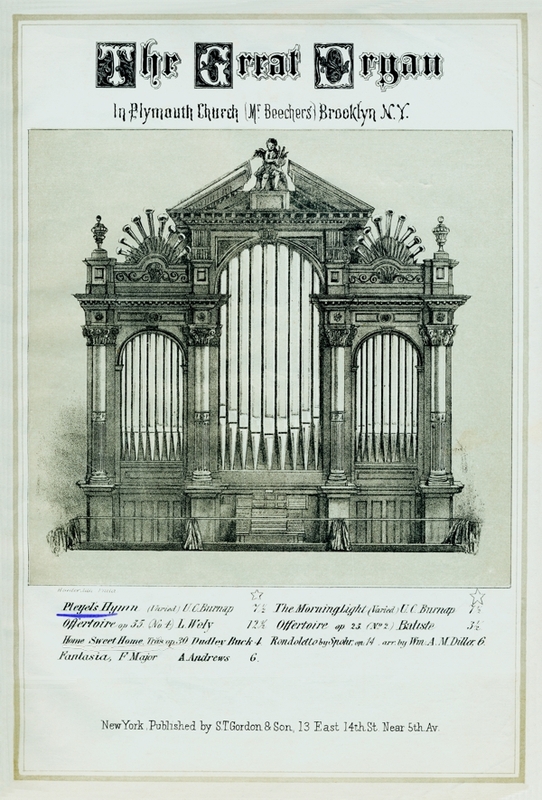 Its popularity inspired three organists to write organ variations within a span of two years: Flagler in 1887, Dudley Buck, and this one by Wenham Smith in 1888. Moderately difficult.